Salts Healthcare was founded in 1701 by brothers John and William Salt who started out as apprentice locksmiths in Wolverhampton before John became established as a surgeons’ instrument maker and cutler. Salts Healthcare ventured into Stomal Therapy in 1948 when Edward Salt started working with Professor Bryan Brooke of Birmingham General Hospital to hand-produce ostomy bags (Professor Brooke perfected the eversion technique for suturing stomas). The extensive knowledge accumulated over decades of association with patients and Stomal Therapy Nurses has resulted in the development of unique appliances particularly in relation to ostomy hydrocolloids. Salts provide a diverse range of ostomy pouches together with ostomy accessories such as seals, wipes and support garments. The company is still in family hands with Phillip, Peter and Robert Salt making regular visits to Australia and New Zealand. AinsCorp Pty Ltd was established in 2008 with the goal of supplying exceptional medical devices within Australia and New Zealand. AinsCorp operates in the Ostomy and Complex Wounds and Fistula medical device markets in which the organisation has had decades of experience at all levels. AinsCorp has an exclusive agreement with Salts Healthcare and is proud to promote such their unique and exceptional products of exceptional quality. In 2018 Ainscorp and Salts Healthcare celebrated their 10 year anniversary of working together. 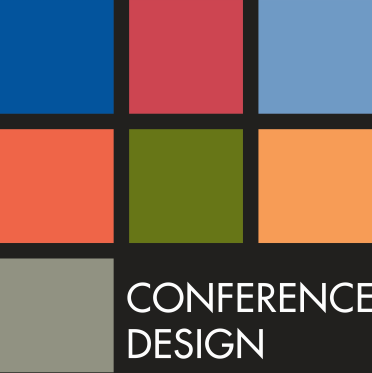 We look forward to welcoming you to our stand at the 42nd AASTN National Conference. At Liberty Medical, our passion has always been to provide quality products and services for people living with stomas and those who care for them. We are committed to fulfilling the many and varied individual needs of people with stomas through an extensive array of Dansac and Hollister products and supporting materials. With an enduring commitment to research and development, these global brands aim to work in partnership with the Stomal Therapy Nurse community to enhance the range and help people with stomas live without boundaries. Through Hollister and Dansac, Liberty Medical offers the very best in educational support, products, and proactive solutions and are focused on making the lives of people with stomas as normal as possible. With Liberty Medical, we focus on a no compromise approach. 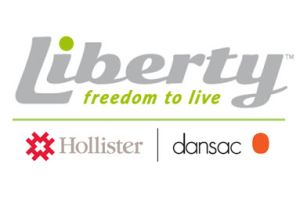 Liberty Medical – Freedom to Live means Freedom of Choice for you. Omnigon Pty. Ltd. is an independent, Australian owned company specialising in the supply of ostomy and wound care products to the Australian and New Zealand health care markets. Founded in 1995, we have provided care for ostomates for almost 25 years. Our range of products includes those maufactured by B Braun, Eakin and Welland as well as our own branded Omnigon Support Garments. These products are manufactured throughout Ireland, France and the UK, providing a world of knowledge with the local feel. It is our wide range of products which sets Omnigon apart from the rest. No matter the issue we have a product to help. Combined this with a dedicated customer service team, we are a one stop shop for all things ostomy products, providing our customers and nurses with solutions to any issues they may face. With a helping hand we aim to get every ostomy patient back to living a long, happy and healthy life, as we believe that a stoma should not stop you. We look forward to meeting you at our stand at the 42nd AASTN National Conference, so you can meet our dedicated team. 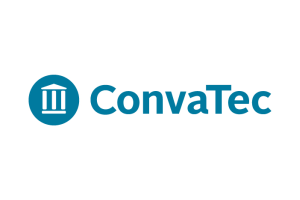 The ConvaTec® story is about improving the lives of millions of people around the world through innovation that creates transformational medical technologies. 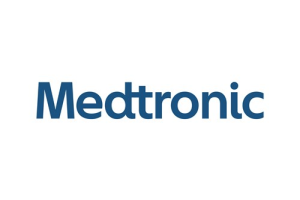 ConvaTec is a world leader in Ostomy, Continence, Critical Care, Advanced Wound Therapeutics, and Infusion Medical Devices. ConvaTec pioneered the pouching systems, skin barriers and adhesives that help millions of people worldwide reach their full potential. Collaborating with end-users and healthcare professionals, the company developed ConvaTec Mouldable TechnologyTM skin barriers, and Adhesive Coupling TechnologyTM; raising the standard of care by providing a more comfortable and customised solution for users. From ICU to the operating room and the community, a wide range of ConvaTec products provide support to healthcare professionals and patients. ConvaTec’s Hospital Care business provides high volume, high quality, single use medical devices to hospitals for use in high volume procedures in the urology, ICU, OR, and general hospital departments. In 1982, ConvaTec introduced the world’s first hydrocolloid dressing. The company continues to provide quality Advanced Wound products and proprietary innovations such as Hydrofiber™ technology. ConvaTec delivers cost-effective, life-enhancing solutions and is committed to continuing its history of developing new technologies that set the standard of care. Urgo Medical is a leading French company specialized in wound healing, offering a complete range of wound management dressings and compression bandages. The range of high quality and innovative products has been developed to meet the constantly changing and growing expectations of healthcare professionals, as well as to help improve the quality of care and comfort of patients. All of our proposed solutions are supported by more than 55 clinical studies, making of Urgo Medical the global leader in clinical evidence. We are committed to furthering knowledge on the treatment of wounds and injured tissues, providing wound care solutions that help restore a patient’s life to its pre-injured state. Future Environmental Services provides an Odour Control Service to all Stomal patients, nursing homes, hospitals, people suffering from incontinence and odours from fungating wounds. The unique features of Future Environmental Services products are that they attack the odour and remove it completely and safely, without the use of masking agents. We are proudly an Australian Company with the products made and bottled in Australia using the highest quality ingredients available. 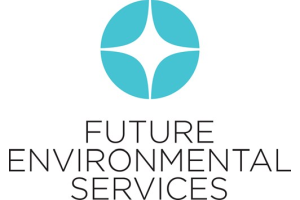 First started twenty-five years ago, Future Environmental Services has been a trusted brand throughout the medical profession, known for our diligence to help alleviate odour problems and to achieve positive results.